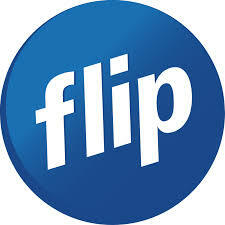 Flip offers numerous data plans for our varying customer requirements. Your My Account is your place to go, to stay up to date with everything related to your broadband plan and data consumption. How can I find how much data I'm using? You can your broadband data usage and your outgoing call information through your My Account. Login to your My Account and you will see the data you currently have available to you in the 'Data Status' section. To view a detailed report of your data usage, click the 'Activity' tab and download the detailed file of your monthly activity. The 'Data Usage' tab in the spreadsheet will contain detailed information relating to your data consumption. If you would like to view usage from a previous month. Click the 'History' tab and locate the month you wish to view data usage for. Download the detailed report for that month and click the 'Data Usage' tab again within the spreadsheet. What happens once I run out of data? When you have utilized all broadband data currently available to you, we will automatically slow you down to basic broadband (256k Broadband). This is much faster than dial-up service and ensures you receive no further charges for utilizing your internet connection. Can I purchase additional data blocks?